T. Jon, a native of the United States, began his career as an exterior designer at Ford Motor Company in Dearborn, MI. He did both concept and production work for the Ford & Lincoln brands. In August of 2011 he moved to Sweden and joined the team at Volvo Cars in Gothenburg. Working under Thomas Ingenlath and Maximilian Missoni, T. Jon led the exterior design of the Concept Coupe, Concept XC Coupe, and Concept Estate. He was instrumental in the development of a new design language for Volvo and character of the brand. He also led the exterior designs of the 2019 Volvo V60, the S60, the V60 Cross Country and the Polestar 1. 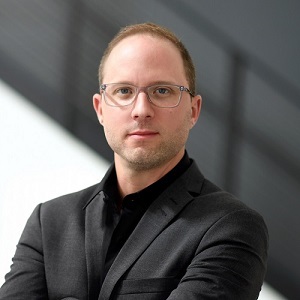 He enjoyed great 6 years in Sweden and in 2017 T. Jon was appointed Head of Design at the Volvo Design & Concept Center in California under Robin Page’s global leadership. T. Jon graduated with honors from Carnegie Mellon University with a Bachelor’s of Fine Arts in Industrial Design. He then attended the Art Center College of Design and graduated with honors with a Bachelor’s of Science in Transportation Design.